From his early days Rex Warneford was something of a loner and able to make up his own mind. He learned to love working on the railway in India with his Army Officer father, but rebelled against his mother when their marriage broke down and was then sent to school in England. At 14 he became an apprentice merchant seaman and travelled the world, eventually surviving a shipwreck on a South American coast. 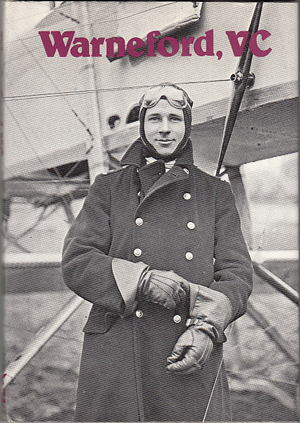 Returning to England in 1915 Rex volunteered and within three weeks qualified as a RNAS pilot and was soon sent to France attacking enemy aircraft and strafing observation balloons. The book describes in fascinating detail how Rex, by bringing down LZ37, the first German Zeppelin destroyed in aerial combat, earned one of the only two Victoria Crosses awarded to naval airman in WWI, which feat which won him lasting fame, the adulation of all Paris Society, and his premonition of his own imminent death.